The practice of holding the kiln at final firing temperature for a period of time. This is usually done to mature the clay (especially if the firing was fast) and give the glaze opportunity to flow and heal imperfections. Soaking in a firing schedule should normally be accompanied by a slower approach to final temperature. The advent of electronic kiln controllers has made it possible for anyone to soak at any temperature. Soaking is especially advantageous for glazes with a stiff melt (i.e. low temperature zirconia whites) and for porcelains that require translucency, density, and glassy surfaces. It is also a necessity for heaver kiln loads (to get heat penetration). 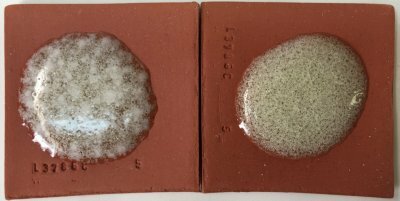 Soaking can enable the production of flawless glaze surfaces using bodies or glazes containing coarser particles that generate gases on decomposition that would otherwise leave defects in the glaze surface (especially blisters). However soaking at the final temperature is likely not the answer. It is better to cool the kiln (by 100F for example) and then soak there. The reason this is effective is that the increased viscosity of the melt reaches a point where it is able to overcome the surface tension holding the bubbles in tact (and pop them). Different glazes have different temperatures at which to soak works best. Soaking (or slow temperature rise) towards the end of the upward firing curve can also be an effective way to reduce the clouds of micro bubbles that would normally be present. This provides enough fluidity to enable bubbles to move through the glaze but enough viscosity to prevent surface tension that would cause bubbles to congregate and produce large domes (that later break to become blisters). Soaking is also a part of a wide range of firing techniques to achieve variegation, special coloration and crystal growth. In hi-tech industries, such as those firing almost pure calcined alumina bodies, soaking is a key factor in developing the properties of the matrix, a two-hour firing may finish with a two-hour soak (the soaking however may be done at a much lower temperature). This 1 gallon heavy crock was fired to cone 6 (at 108F/hr during the final 200 degrees) and soaked 20 minutes (in a electric kiln). 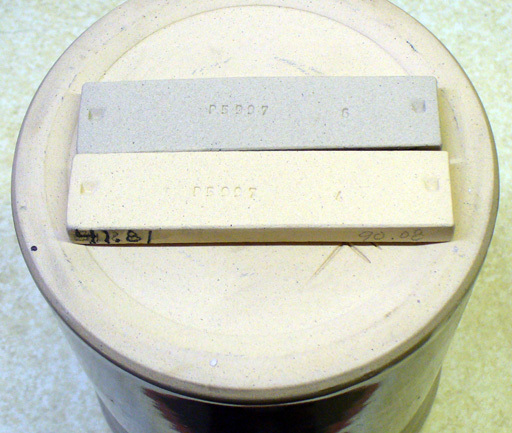 The bare clay base should be the color of the top test bar (which has gone to cone 6). Yet, it is the color of the bottom bar (which has gone to cone 4)! That means the base only made it to cone 4. The vertical walls are the right color (so they made cone 6). It may seem that this problem could be solved by simply firing with a longer hold at cone 6. But electric kilns heat by radiation, that base will never reach the same temperature as the sidewalls! Same cone 6 glazes. Same clay. Why is the one on the right pinholing? These are thick pieces, they need time for heat to penetrate. Both were soaked 15 minutes at cone 6 (2195F in our test kiln). But the one on the left was control-cooled to 2095F degrees and soaked 45 more minutes. Pinholes and dimples are gone, the clay is more mature and the glaze is glossier and melted better. Why is this better than just soaking longer at cone 6? As the temperature rises the mineral particles decompose and generate gases (e.g. CO2, SO4). These need to bubble through the glaze. But on the way down this activity is ceasing. Whatever is gassing and creating the pinholes will has stopped by 2095F. Also, these are boron-fluxed glazes, they stay fluid all the way down to 1900F (so you could drop even further before soaking). 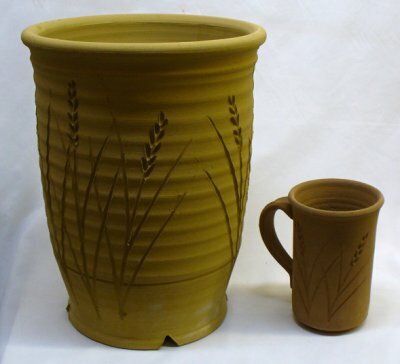 Soak the firing 30 minutes to mature the mug and the planter will not mature. Soak 2 hours for the planter and the glaze may melt too much and the clay be too vitreous. This is a troublesome issue with electric kilns. Furthermore, they employ radiant heat. That means that sections of ware on the shady side (or the under side) will never reach the temperature of those on the element side no matter how long you soak. More carbon needs to burn out than you might think! Hard to believe, but this carbon is on ten-gram balls of low fire glazes having 85% frit. Yes, this is an extreme test because glazes are applied in thin layers, but glazes sit atop bodies much higher in carbon bearing materials. And the carbon is sticking around at temperatures much higher than it is supposed to (not yet burned away at 1500F)! The lower row is G1916J, the upper is G1916Q. These balls were fired to determine the point at which the glazes densify enough that they will not pass gases being burned from the body below (around 1450F). Our firings of these glazes now soak at 1400F (on the way up). Not surpisingly, industrial manufacturers seek low carbon content materials. First, the layer is very thick. Second, the body was only bisque fired to cone 06 and it is a raw brown burning stoneware with lots of coarser particles that generate gases as they are heated. Third, the glaze contains zircopax, it stiffens the melt and makes it less able to heal disruptions in the surface. Fourth, the glaze is high in B2O3, so it starts melting early (around 1450F) and seals the surface so the gases must bubble up through. Fifth, the firing was soaked at the end rather than dropping the temperature a little first (e.g. 100F) and soaking there instead. This cobalt underglaze is bleeding into the transparent glaze that covers it. This is happening either because the underglaze is too highly fluxed, the over glaze has too high of a melt fluidity or the firing is being soaked too long. Engobes used under the glaze (underglazes) need to be formulated for the specific temperature and colorant they will host, cobalt is known for this problem so it needs to be hosted in a less vitreous engobe medium. When medium-colorant compounds melt too much they bleed, if too little they do not bond to the body well enough. Vigilance is needed to made sure the formulation is right. Cone 6 rutile floating blue effect lost. Then regained. Left: What GA6-C Alberta Slip rutile blue used to look like. Middle: When it started firing wrong, the color was almost completely lost. Right: The rutile effect is back with a vengeance! What was the problem? We were adjusting firing schedules over time to find ways to reduce pinholing in other glazes and bodies. Our focus was slowing the final stages of firing and soaking there. In those efforts the key firing phase that creates the effect was lost: it happens on the way down from cone 6. 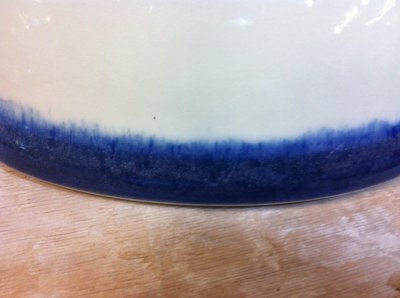 This glaze needs a drop-and-soak firing (e.g. cooling 270F from cone 6, soaking, then 150F/hr drop to 1400F). Why is that transparent glaze firing cloudy? The balls test us. G1916Q and J low fire ultra-clear glazes (contain Ferro Frit 3195, 3110 and EPK) fired across the range of 1650 to 2000F (these were 10 gram GBMF test balls that melted and flattened as they fired). Notice how they soften over a wide range, starting below cone 010 (1700F)! 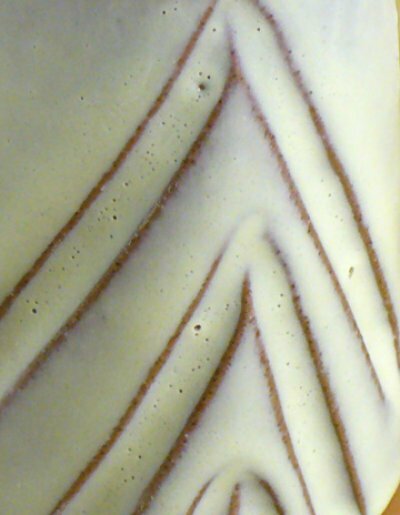 At the early stages carbon material is still visible (even though the glaze has lost 2% of its weight to this point), it is likely the source of the micro-bubbles that completely opacify the matrix even at 1950F (cone 04). 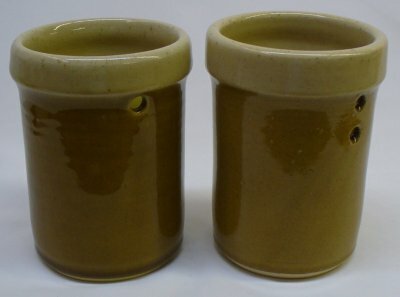 This is an 85% fritted glaze, yet it still has carbon; think of what a raw glaze might have! Of course, these specimens test a very thick layer, so the bubbles are expected. But they still can be an issue, even in a thin glaze layer on a piece of ware. So to get the most transparent possible result it is wise to fire tests to find the point where the glaze starts to soften (in this case 1450F), then soak the kiln just below that (on the way up) to fire away as much of the carbon as possible. Of course, the glaze must have a low enough surface tension to release the bubbles, that is a separate issue. This is Polar Ice cone 6 porcelain that has been over fired. The electric kiln was set to do its standard cone 6 fast fire schedule, but a cone in the kiln demonstrates that it fired much higher (perhaps to cone 7 judging by the bend on the cone). This is a translucent frit-fluxed porcelain that demands accurate firing, the over fire has produced tiny bubbles and surface dimples in the glaze. The mug rim has also warped to oval shape. The lesson: If you are firing ware that is sensitive to schedule or temperature, use large cones and adjust if needed. If it fires too hot like this, then program to fire to cone 5 with a longer soak, or cone 5.5 (if possible). Or, program all the steps yourself; that is definitely our preference. This is a common problem with these glazes. The visual effect is very compelling but also punishing! Potters experiment with higher bisque firing and soaking during bisque. They try cleaner clay bodies. 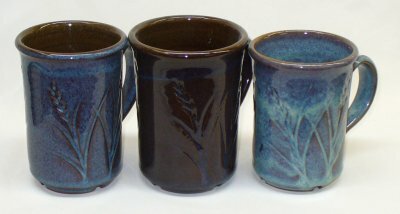 They employ long hold periods at temperature in the glaze firing. But the problem persists. The solution is actually simpler. 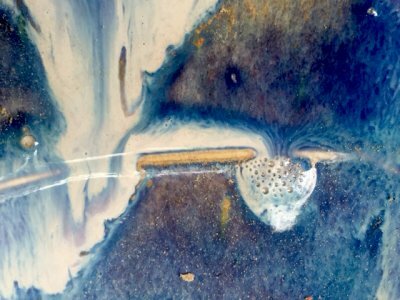 These glazes have a high melt fluidity and enough surface tension to hold a bubble static during soaks at temperature (no matter how long you hold it). It is better to cool the kiln somewhat (perhaps 100F) and soak at that temperature. Why? Because the increasing viscosity of the melt overcomes the surface tension that maintains the bubbles. You may need to cool more or less than 100 degrees, but start with that. Electric hobby kilns are certainly not up to the quality and capability of small industrial electric kilns, but if you are aware of the limitations and take precautions they are workable. 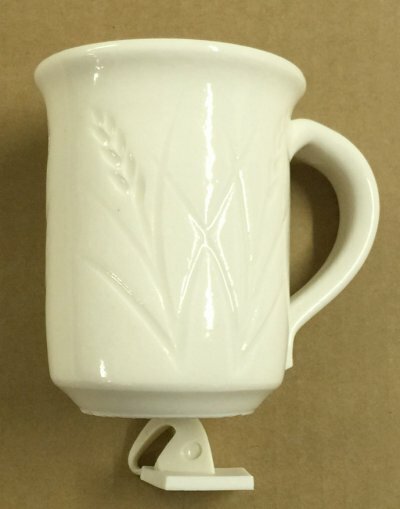 (Videos) Manually program your kiln or suffer glaze defects!